Whether you are running an established emerging brand or an up and coming fashion designer building your eCommerce business, your company’s future depends on making a profit. As a leader within your eCommerce organization, making decisions that lead to growth and finding the right sources of funding are imperative to successfully driving your company forward. To help growing online brands like yours ensure that your company is attractive to investors, we spoke to 7 executives from lifestyle brands and asked them to give us timely advice that emerging brands, designers, and visionaries can leverage to have strong financial footing. Are you ready to maximize your brand’s profit? 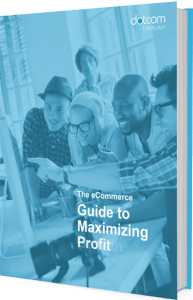 Download this eBook now to explore the steps you need to take to take your profit to the next level.